MS Dhoni: The Untold Story Review: The most successful Captain and game finisher’s biopic released world widely on Friday, September 30. All the cricket fans across the world have to wait for this day to watch MS Dhoni movie on big screen. The Bollywood cinema industry has seen many biopics in its life history. But, it is one of the most impacted films among others because of the name, MSD. Sushant Singh Rajput has portrayed of the present Indian One Day International Captain, Dhoni. He took totally nine months for the practice to act as a Dhoni. Especially, he tried hard to act as skipper. Himself shared all that moments with MS Dhoni at their recent meet on movie promotional. It is the history of Dhoni which all hide from the public till date. That’s why it is ‘The Untold Store‘ of Mahendra Singh Dhoni. The Baby fame Neeraj Pandey directorial biography film has produced by the Arun Pandey. There are three banners in the list as Fox Star Studios, Friday Film Works, and Inspired Entertainment. It is the first biopic in Bollywood in this year and also it will be recorded the highest box office in this year. The movie released in multiple languages as Tamil, Telugu, and Marathi over 4500 screens around the world. According to the report, the film got British certificate as PG and the movie run time is 3 Hours 4 minutes and 11 seconds. From the title and the caption itself covered the single line story of this movie. It is MS Dhoni’s another side of life, the untold life history diary of Indian cricket team captain. A young man from Ranchi to the Indian Cricket team is the story. The incidents happened in-between his growth is the strong story of this film. How he became a most successful batsman and how he became as a most needed skipper and how he transferred as a cricketer from the Railway Ticket Collector. This biographical film explains clearly about the hard work and dedication about the passion. It also shows the secret behind his calm at the ground at the end of every match. His special helicopter bat, smiles and another untold side of MS Dhoni. 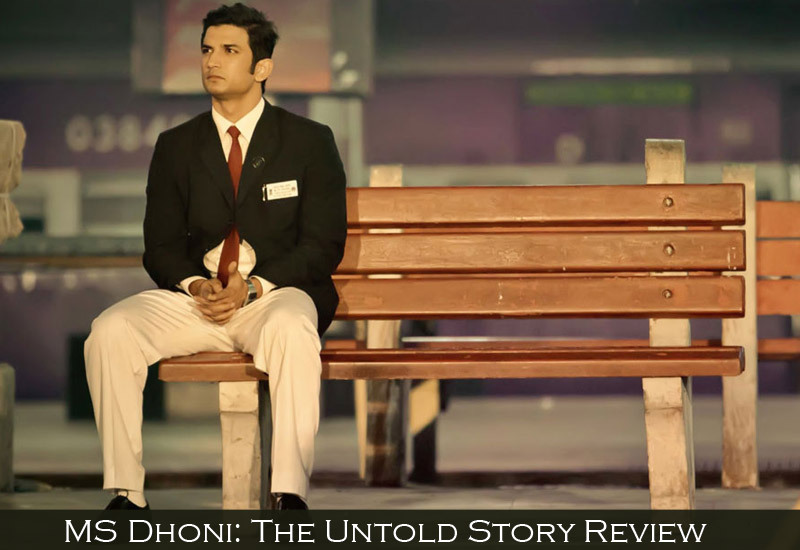 Read MS Dhoni: The Untold Story Review here below and also get movie ratings. The review is split into several parts for acting performance, direction, and music. Check it here in this order. The MS Dhoni Movie cast and crew details are followed after this review. Sushant Singh Rajput is the lead actor of this film and he made his huge response about to act as a real Dhoni. Dhoni’s fans had noted some dialogue delivery is a bit different from the real one perhaps the fans accepted that he made good. Rajput had already revealed his hard work for this film as he took lots of days for the cricket practice before to act. Most of the Bollywood artists were recommended him for this movie. He also accepted that and made it as well. It is one of his biggest achievement in Rajput’s career. Suppose, if MSD himself acted in this film means, then it is the very huge movie in this country and this world. Apart from Rajput, the female lead Kiara Advani acted as Dhoni’s wife ‘Sakshi.’ She made her screen presence as well. The people didn’t know well about the real Sakshi. So, here they can’t be able to find the difference. Anupam Kher was acted as Dhoni’s father Pan Singh. He presented his role without getting any blame. Neeraj Pandey showcased his total talents in this film along with the help of cinematographer, Santosh Thundiyil. The brilliant display and the dialogues are simply awesome. All the expectations about his directorial film are there on the screen today. He showed the present Indian ODI captain and best finishers life history in 185 minutes. Nowadays, the maximum of the huge and important Bollywood films are made with the multiple music composers. Yes, it is one of the enormous and important movies in Indian film history. So, the director was decided to make this movie along with Four music composers. 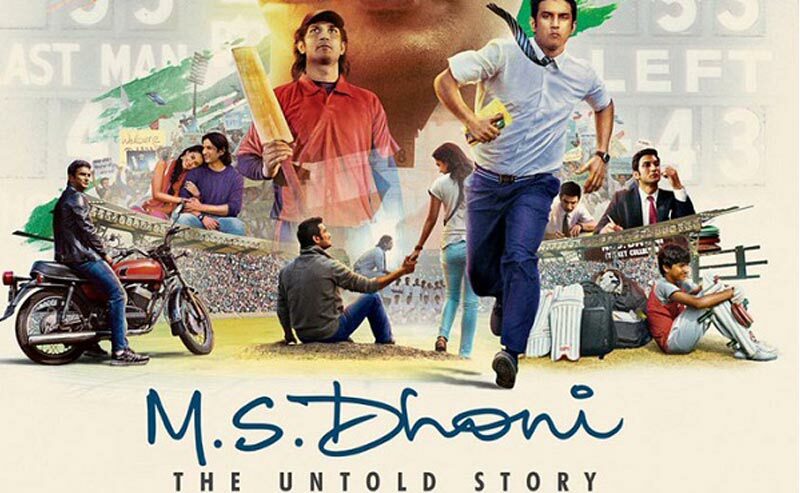 Amaal Mallik, Arijit Singh, Rochak Kohli, and Sanjoy Chowdhury are the people who made the soundtracks for ‘MS Dhoni: The Untold Story.’ Nothing to say about the Background score and the songs were played there behind the scenes. All of them scored decent marks by the critics and public people. Movie Cast MS Dhoni’s Family: Sushant Singh Rajput as Mahendra Singh Dhoni, Anupam Kher as Pan Singh, Dhoni’s Father, Bhumika Chawla as Jayanti Gupta, Dhoni’s sister, Kiara Advani as Sakshi Dhoni, Dhoni’s wife. His Friends: Herry Tangri as Yuvraj Singh, a rising cricketer and Dhoni’s friend, Shreyas Talpade as Rohit Sharma, Disha Patani as Priyanka Jha, Dhoni’s ex-girlfriend, Rajesh Sharma as Dhoni’s coach. According to the Critics Rating, the Movie bagged above Four for Five points. Apparently, then the public rating also scored above Four. The MS Dhoni movie crew, especially the direction also gets the above Four. Other than this, the background score and the songs music just got average marks. Get down to the end of this page for graphical scores. The Name MSD or MS Dhoni or Dhoni or even his full name Mahendra Singh Dhoni already had some vibrating power. After this film, it is shining more than that as supernatural power and looks like above than that. It is worth to watch at the theater. Full of inspiration, Positive thoughts and it is the story of most wanted Indian Cricket Player. It is not only explaining the Sports or Cricket, it shows the efforts for the grand success of life.